Hi, thank you for the post. What are the cards used in the screenshot ? and their clock/Core voltage please ? I am trying to optimise rx480 and rx 580 cards, but ETh settings giving too low hash with x16r. 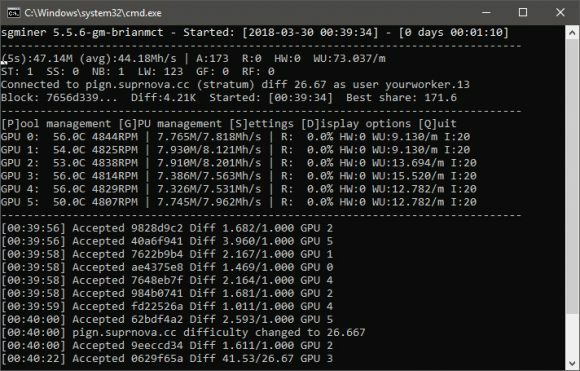 I am getting 3-4 mh/s with each card? so should we higher clocks with higher corevoltages? I think memory frequenz is not so important? Please share your clock settings for above hashrate, thank you. This fork is not good for X16r performance wise, the post links a better performing one for X16S. The screenshot shows X16S running on VEGA GPUs. Dear @admin thank you for quick and informative answer.. Now I understand . Which algo(s) would you advice for all rx480/580 owners , here ? In which algo do u see , some good future ? And also do u think , x16s can overwhelm to x16r in the future ? Thank you in advance . This is the only place , I am following miner software (all up to date)..